Learn the tech skills you need to land a new job with this 60+ page FREE ebook! 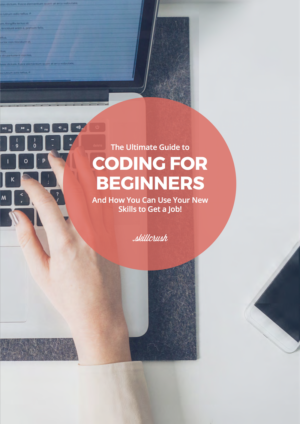 There are a ton of places out there that promise they can teach you “how to code“—but what does that mean exactly if you’re a tech newbie, and what if you’re not sure you’re ready to invest in a formal course? If you’re brand new to the world of web design and web development, it makes sense that you should learn to code by using free resources available online. That way, you can discover what you like—and more importantly don’t—before committing to more in-depth courses (like one of the Skillcrush blueprints!). 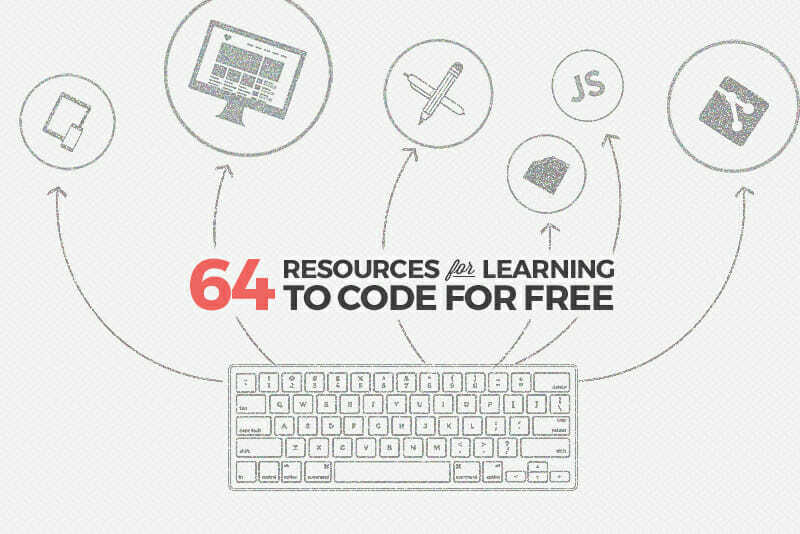 To make things easier, I’ve compiled a list of 64 FREE web design and development resources for learning tech basics and mastering specific topics. Pick and choose the ones that best suit your career goals, and you’ll learn how to code in no time. Enjoy! *I pulled this list together in November 2016, so note that some details are subject to change! 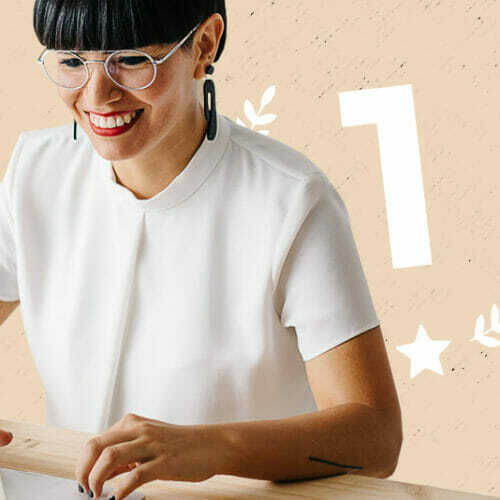 PS – If you are ready to devour this list but looking for a place to start, check out Skillcrush’s totally free 10-Day Coding Bootcamp. 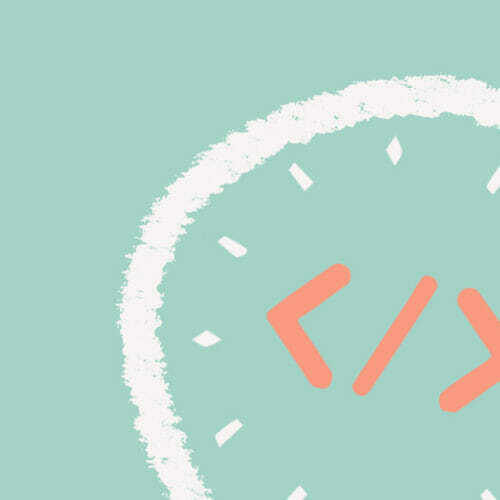 You’ll get an easy intro to the world of tech and even get to write your first lines of code! Codecademy is where a ton of people who are new to tech first learn to code. If you haven’t seen their site yet…where have you been!? Kidding—mostly. Regardless, the platform revolves around teaching you how to code via interactive learning; that is, you read a little, type your code right into the browser, and see results immediately. This is a perfect entrance to coding for beginners, and serves as a kind of free coding bootcamp. 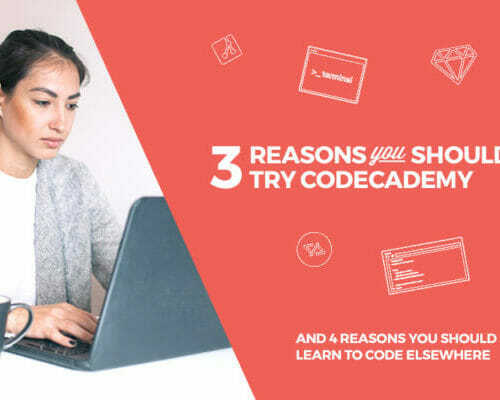 If you’re curious about the pros and cons of the platform, we wrote a review of Codecademy here. Codewars is definitely a fun way to learn coding. With a martial-arts theme, the program is based on challenges called “kata.” Complete them to earn honor and progress to higher ranks. Large online course library, where classes are taught by real university professors. All courses are free of charge, but you have the option to pay for a “Coursera Verified Certificate” to prove course completion. These cost between $30 and $100 depending on the course. Coursera also now has specializations, which you do have to pay for. An open-source higher education program governed by MIT and Harvard. Offers 107 courses under the “computer science” category, teaching various coding languages. This free coding bootcamp teaches coding first through an established curriculum, then via hands-on experience working on projects for nonprofits. Great, right? General Assembly’s free online learning platform. Entirely project-based. You build a “project” with each walk-through. They are one of the very few options that have a course on how to build a Tumblr theme from scratch. Competition to get into MIT may be stiff, but accessing their course material has no minimum SAT score. They maintain an online library of every subject they teach, with no account required for access. Made by the creators of Viking Code School—a premiere online coding bootcamp. The Odin Project is their free coding bootcamp version. FYI: you can also work with others in in-person or online study groups. Offers individual courses, as well as “nanodegrees” that train you for specific careers like front-end web developer or data analyst. Some course materials are free, but nanodegrees require a tuition fee. Paid and free courses on a variety of subjects, including web development, programming, data science, and more. Courses can be created by anyone, so make sure to read reviews—you want to learn coding through a true expert! Coupons can also be easily found, too. Check out some of their top development courses here. A compilation of video tutorials to help you walk through a process from start to finish. Good for learning “smaller” projects or tasks one at a time. One of Travis Neilson’s YouTube channels. Focuses on web design and web development, with occasional live Q&As. My personal favorite. 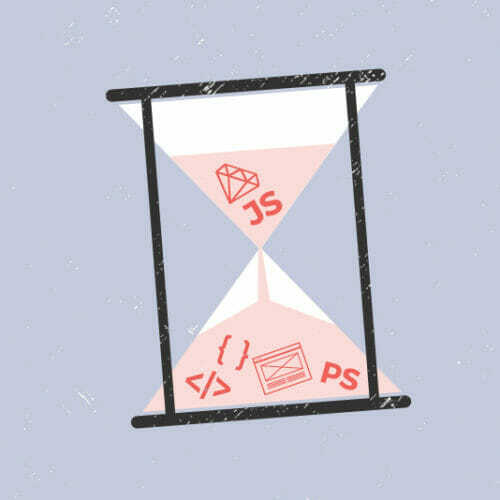 Web-development-focused videos made by Will Stern. Over 4,000 videos on a range of programming languages, game development, and design. Has over one million subscribers. Topics taught: Android development, C programming, MySQL, Python, and more. For a more comprehensive list of 33 YouTube channels where you can learn to code, look here. Lots of authors. They write books, have events, and run a great development and design blog, which is easy to understand even if you’re new to this (and includes some great topics around coding for beginners). See all code topics here. Run by David Walsh (a senior developer at Mozilla), although there are others who write on the site too. Tutorials, how-tos, demos, and more. Covers lots of topics related to web development and workflow. To name a few: Angular, Node.js, Laravel, Sublime Text, and more. They have lots of writers and publish often. Topics range from HTML and CSS to entrepreneurship. SitePoint now also has paid books and courses on their child site Learnable. Tons of free tutorials, as well as paid options like actual courses. Has over 570 expertly-instructed video courses (on all topics, not just computer-related). Also publishes eBooks. Skillcrush’s free coding bootcamp is a perfect place to start for absolute newbies. You’ll learn what it means to work in tech, get digestible definitions of common industry lingo, and get the chance to write your first lines of code. This website will teach you CSS fundamentals that are used in setting up a website’s layout. It’s best for those who already have basic HTML and CSS know-how. For beginners. Broken down into four chapters: The web, HTML5, CSS3, and Sass. It’s like an online ebook, but under a Creative Commons Attribution-NonCommercial-ShareAlike 4.0 International License. So you can adapt it for your needs. HTML beginner tutorial here. (They also offer intermediate and advanced HTML tutorials.) And ones on CSS. Free video series created by Wes Bos. More at an intermediate level, so not for total newbies. Free online book by Mark Bates. Very in-depth. Can purchase hard copy and screencasts. An interactive series of challenges to learn about and experiment with Git. Created by Code School. Another online book, longer than most. It has big-tech financial backers like Mozilla and Hack Reactor (“the Harvard of coding bootcamps”). It’s like a single-webpage book broken down into sections. Created by programmer Max Ogden. Filled with non-cat gifs but has cat pics at the end. Just because. Lol. Has in-person workshops and events all over the world, as well as an active web presence. See online tutorials here. Written by Manuel Kiessling, this book targets people who have some experience in other programming languages. While the free version online is a shortened version of the full book, it still teaches a lot about Node. Recordings of live WordCamp lectures around the world. Created by Automattic. Website for beginner WP users. Great WP glossary of terms, plus coupon deals, video tutorials, and a blog which publishes useful articles by different authors. Free online book for beginners. Can choose to download it as a PDF for free or invest in the hard copy. Beginner and intermediate Python tutorials. Most come in a written form. There’s also some tutorials on game development, databases, and more. All using Python, of course. Free HTML version of the book online. Buying the hard copy also gets you access to videos. Another book written by Zed Shaw. An interactive way to learn Ruby on Rails right in your browser. (This is a better choice for people who know some Ruby already.) Created by Code School. 12-chapter book by Michael Hartl. Can purchase ebooks, screencasts from author, and more. Or just read it for free online. Entirely free, though you have the option to donate. Based on interactive tutorials, where you read a lesson and type in code. Lastly, “run” it. RubyMonk has one beginner course option, two intermediate, and one advanced. Also created by Code School, this is a better option for beginners. Type into an in-browser prompt window as you go through the exercises. Another resource created by Zed Shaw. This free online book takes you through 33 exercises. By the end, you should understand SQL, how to design data, and know a bit about database optimization. You don’t need to know how to program to work through the book, but it helps. Courses on MongoDB. Lessons come in video form. There are also quizzes and graded exercises along the way. Courses last seven weeks, but you can work through at your own pace. As of now, 200,000+ people have already taken courses on MongoDB University. Offers a range of MySQL tutorials including how to use MySQL as a developer and database administrator. They offer over ten different MySQL tutorials in total. Free digital book created by renowned computer science professor at MIT, Philip Greenspun. It contains 16 sections including data modeling, simple queries, transactions, trees, and more. This free platform has three different SQL courses: SQL Queries, Operating on Data in SQL, and Creating Tables in SQL. On Vertabelo you’ll learn in an interactive code editor, table, and console. HackDesign is, “an easy to follow design course for people who do amazing things.” There are 50 lessons total, all taught by different instructors. Topics include typography, interaction design, front-end design, and more. You can get a design lesson delivered to your inbox once a week or you can view all the lessons on their site. Created by Theresa Neil and the team at Balsamiq. This is like a UX 101 course — perfect for beginners. Three main parts: discovery, strategy, and design. As you go through, you are quizzed and shown related resources. While UXPin has paid offerings, there are a variety of free UX books available on the site. All you need to do is provide your email to access the material. They have books on minimalism, color theory, flat design, interaction design, and more. Learn with others in peer-to-peer organized Google Hangouts. Great for those who want to study with others or do pair programming. CodeBuddies also has a Slack chatroom as well as Facebook group where people can congregate and ask questions. CodeNewbie has a variety of tools for beginners including a Slack community where you can ask questions, a Twitter chat every Wednesday, a weekly podcast, and more. Now there are also some in-person meetups – like in Atlanta. Full disclosure: Newbie Coder Warehouse is my Facebook group of 2,200+ self-taught coders (and counting!). It’s a great place to ask questions as well as connect with others. And it’s super simple to join: all you need is a Facebook profile! codebar’s goal is enable underrepresented groups to learn how to code. They do this by offering free weekly workshops and events. Keep in mind codebar is based in the UK. Girl Develop It (GDI) has chapters across the US and Canada. While most of GDI’s in-person workshops cost money, all of their course materials are readily available online for free. GDI also has free events, like their Code & Coffee meetup. Women Who Code is a non-profit with networks around the world. They have different events and workshops, all relating to code. Relying on free courses and books is great when you’re just starting out. However, they can only get you so far. Once you have the basics down, you’ll want to explore other options – like the Skillcrush Blueprints. If you’re brand new to the Skillcrush blog (welcome!) make sure to check out the 10-day free coding bootcamp. It’s the perfect way to test the waters, and see what Skillcrush is all about!